Preorder tickets for the 1st movie. Still haven’t finished the english version of my pretty series history thing, but if you read my old posts, you should know producer Nishi, chara designer Matsuura, director Hishida and producer Yoda, initially wanted to do a TV Series for Kinpri, so this announcement isn’t surprising. They finally managed to get what they wanted. But Cheer Screenings are part of Pretty Series DNA, and without movies they can’t release simultaneously/very fast in South Korea, Taiwan, Hong Kong…, so they’re using the TV series’ episodes to make movies as well. Logical. At least the first movie will be out before the TV anime, and then we don’t know yet for the other 3 movies. 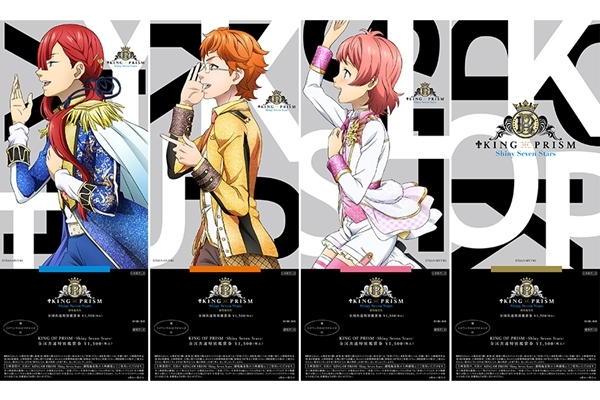 The movies will also have short movies at the start, like the ones that were in Kinpri and Kinpra, so in a sense the movie versions of Shiny Seven Stars will be the final versions. Another thing that hinted towards a TV Series is how Director didn’t return to direct Fairilu season 3 starting July 2018, and he already said in the past he can’t direct two TV series at same time. Spring 2019 means Shiny Seven Stars TV anime should start in April 2019. 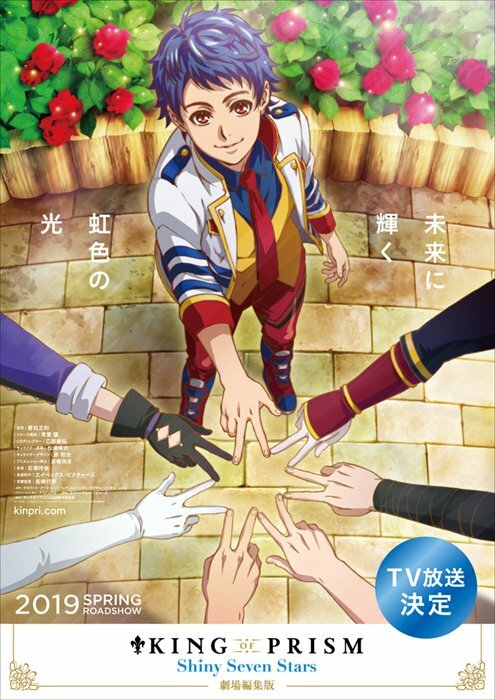 This also means that whatever Pretty All Friends turns out to be, if it’s a TV anime, it won’t air during January->July 2019, as Director will be busy working on Shiny Seven Stars. With the recent reveal that Mion and Rizumu are in Pretty All Friends as well, it pretty much confirms all the female characters will be, so now I hope the male ones will be in too. That way if it’s an anime, we’ll get a new Hishida Pretty Rhythm anime with both male and female characters focus. I guess it’s still possible for PAF to release in 2018, there’s 6 months left. But yeah, whether TV or movie or whatever, even if the copyright says 2018, the most probable answer is release in 2020 for the 10th anniversary of Pretty Rhythm. Director posted on Instagram the abbreviation for KING OF PRISM -Shiny Seven Stars- is Kinsta or SSS, pronounced sususu, (just like how Kouji pronounces Hachimitsu Kiss haha. ) The production committee’s name is now “KING OF PRISM SSS Production Committee” too. Maybe the strange way it’s written on the visual he posted is some kind of hint for the story. 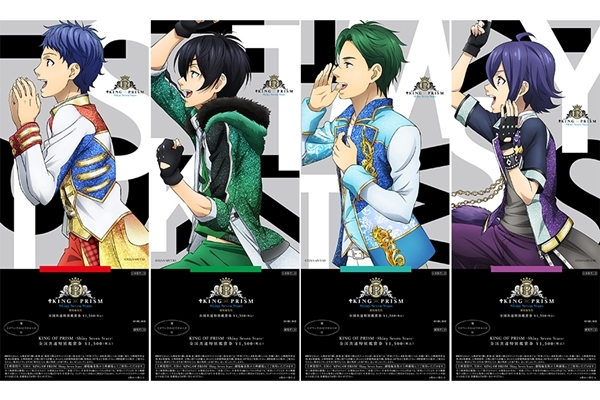 Starting this month, the Kinpri mobage, KING OF PRISM Prism Rush! LIVE, will do a event story called “Road To Shiny Seven Stars”,written by Director. There will be a new one every month, and it’ll be linked to the new anime. In June, the first event will also have Shin sing Naru’s solo song Heart Iro Tori Dream. Before Kinpra released, I used to think Hiro would sing it at Prism King Cup, so this is funny. I wonder if the others will sing some of the girls’ songs too. What if Alec sings Oto’s song hahaha. First 3 episodes/first movie will focus on Taiga and Yukisama. Then Louis, Shin and ??? It’s nice they’re immediately focusing on the most popular character, Taiga, in the first movie/episodes. And they’re leaving Shin Louis for last. Both Alec and Joji’s quotes basically means they’ve changed. Joji’s one especially makes me think he’ll stop using a ghost singer, but I don’t think Sugita will sing, so we’ll see. I guess the “Unknown” character is you know who, shown in PRIDE the HERO. I don’t think they’ll introduce a new character. Shin’s quotes “I’m so sorry… I’ve done something unforgivable…” and “Who the hell am I” also teases that this new anime will give us non cryptic explanations on the Shin Louis mystery. Before PRIDE the HERO released, Director had already said the movie wouldn’t fully explain it, so I was expecting the next anime project to. Cast list has Hijiri Jin Rei and Yamada so they’ll appear too. Even before PRIDE the HERO, they’ve been teasing a Yamada Prism Show, so maybe this will happen there. The girls and OTR should appear too. Not listed doesn’t necessarily means no appearance. Overall I’m super happy about this. Was a predictable announcement but still hyped. We’ll finally get to see more of the Kinpri boys. While they all play an important role or part in PRIDE the HERO, even if you count both movies, some characters like Leo barely have lines in the end. I guess one could be worried about the fact that’s it’s only 1 cour but I’m sure they’ll do fine. I’m also expecting them to use as much as possible all the stories in the mobage and magazines as a sprinboard to make things smoother. While they presented it that way, I don’t think the series will actually be purely episodic and my guess is each episode will link into each other as much as possible. CG Director is going to be really busy working on this and Prichan, I hope he’ll be ok. When they make the CG, he handles the ‘finishing touches’ all by himself: making sure the movements of the motion capture actor and the 3D model are well calibrated so there’s no clipping through clothes etc, the movement of the clothes and hair, etc. This means he’ll need to do that for both Prichan and SSS at the same time. At least, he used to do this all by himself when they worked on PRIDE the HERO’s CG, as shown in his interview on NHK World on the documentary they did on Kinpri and Cheer Screenings. Maybe there’s someone on the CG team good enough to help him with that now. 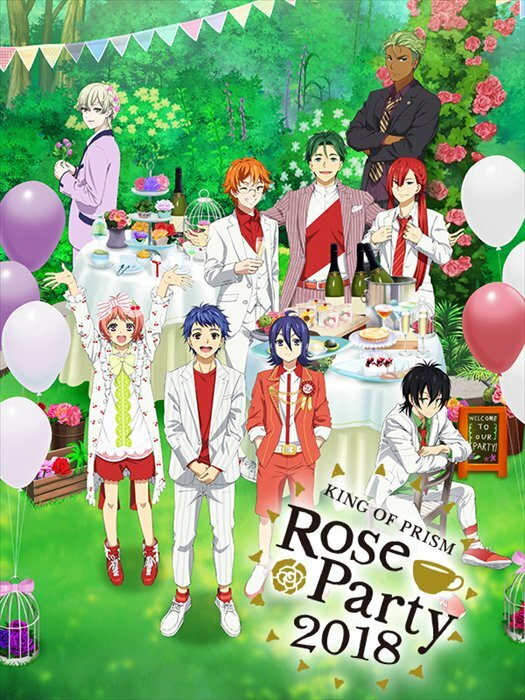 I’m not gonna write much about the Rose Party 2018 event itself because they announced the release of the event on disc on November 23rd 2018. Will be able to buy and watch it then anyway. On the official site, they said it’ll have two discs, 1st one being footage of the event, second one is indisclosed yet(probably backstage footage), but they already announced the bonuses you get depending on which shop you preorder. 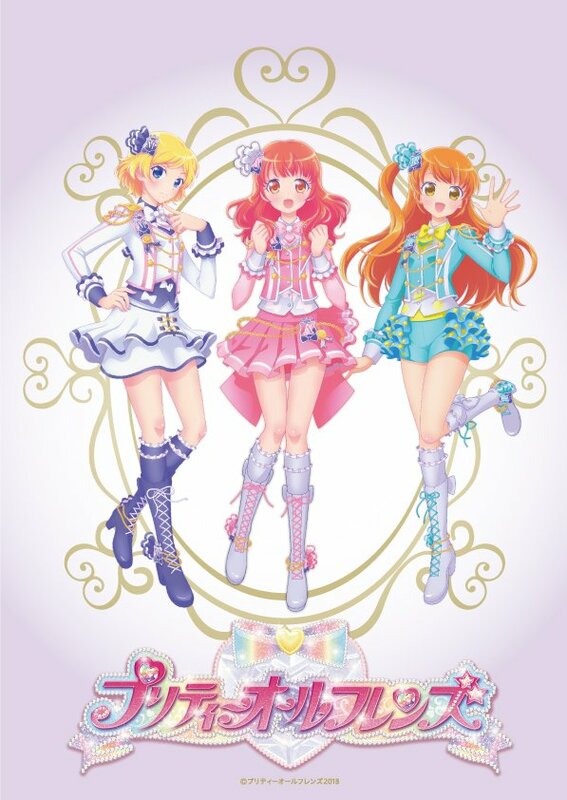 And Animumo will have a CD of Dramatic LOVE with Edel Rose seiyuu but Takeuchi and Aoi too. Animumo being owned by Avex they always get the “best” bonus. They did the talk show first, then the story played live by the seiyuu, and ended with the live part. The staff on twitter uploaded a video and pics of all the flower stands sent in by fans. Terashima said it’s thanks to the Prism Elite they could do all this. One of the producer(I’m guessing Yoda san) also told him a few days ago before the event how they finally managed to accomplish what they initially wanted to do (TV anime) and how it took 3 years since the first Kinpri announcement. During the talk show part, the seiyuu separated intro 3 groups of 3, and played a game. Each group randomly picked from a box a character’s name and background, and then had to make up something to make it work together. Seems it was really funny. SSS announcement was a surprise at the end of the live part. Lotof people cried. And all nine seiyuu returned on stage after the announcement video. They also did a message for fans watching in South Korea, and again said how Kinpri has no borders. Shouta Aoi said everyone is shining and the event was tons of fun even if it rained. Yuuma said “let’s make Kinpri into a legend”. When Nagatsuka thanked the fans for supporting them and for joining them at the event, everyone answered thank you in unison. At the end they did Dramatic LOVE but with Aoi and Takeuchi too.